We continuously hear the term “political activist” batted around the media, sometimes as an accolade, sometimes with a distinct sneer (depending upon who’s reporting and what side they’re on). Recently, I’ve become aware of a different kind of activist; someone whose goal is not only to change their city and country, but to change the whole world one heart at a time. This kind of activist is not motivated by political gain or partisan power, but by a deep, visceral drive to help others in the single most important way a person can. By saving their eternal lives. By introducing them to peace and joy and hope that can’t be found anywhere else on this earth. I recently attended the funeral of one of these spiritual activists. His name to us was affectionately, “Rev.” David Nicholas was the cool/hip/rad minister of a (at the time) small church in Boca Raton, when my husband Chuck attended high school in the early 70s. Rev led Chuck and then his entire family to the Lord, and went on to grow a mighty evangelistic church and make a huge spiritual difference in the lives of many generations. 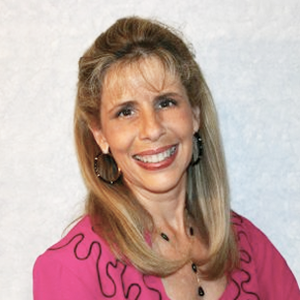 Another spiritual activist is Cookie Gray, a gracious woman who has touched the hearts of thousands of women through her ministry at Brandon Florida’s LifeCare Center. Cookie, a polio survivor, selflessly councils women in the throes of devastation due to unexpected pregnancy, STD’s, financial ruin, and a host of other life-altering problems. She does it from her wheelchair. And always with a sweet spirit, open heart and kind smile. I look at these awesome people – Rev and Cookie – and become at first humbled and then motivated to become a spiritual activist myself. Some might say, “Aw, they’re just doing their jobs,” but in truth, activism became their jobs because of the conviction of their hearts. We can all be spiritual activists – ministers, really – regardless of our profession. There are no greater evangelists than garbage collectors, store clerks and bank tellers whose actions profess their faith louder than words on an everyday, every hour basis. In faith, like in writing, showing is always more effective than simply telling. I look at my role as a hand therapist and author, and my mind is flooded with memories of times I wasn’t much of a minister. In fact, I’d categorize my inner thoughts and outward responses as more like Rambo than Mother Teresa. But I can do better. And I will. How about you? Can you do better? Who’s your spiritual activist role model?